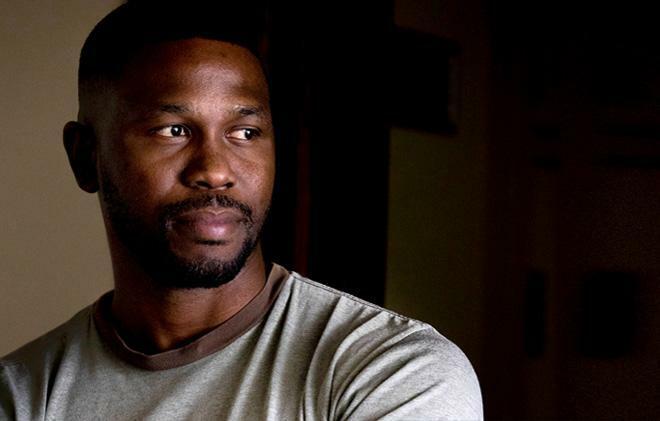 Sergeant Michael Blackwood was among the former Boston valedictorians profiled in a Globe Magazine series published Sunday. So many of them wanted to be doctors. So many of them dreamed the same quintessential American Dream of doing good and making good, helping their communities, serving others. But the vast majority of them have not reached their highest aspirations. The Boston Globe Magazine published a special issue devoted to high school valedictorians last Sunday that should send chills down the spine of anyone who cares about equity in education. 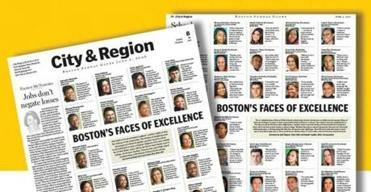 Over the course of a bit more than a year, the Globe tracked down 93 valedictorians — young people who finished at the top of their Boston high schools between the years 2005 and 2007. They had all, as students, appeared in an annual feature the Globe runs highlighting the city’s leading scholars — the best and brightest, off to conquer the world. This morning, the Globe will release a multi-part investigation into how and why the lives of promising Boston valedictorians didn’t quite turn out the way they expected. The gap between their dreams and their fates became a chilling study in inequality — and, to my mind, a major indictment of the Boston Public Schools. Because in case after case, after winning the scholarships to college and getting the sendoff from their neighborhood, many of them found that they simply weren’t prepared for what came next. A quarter of them didn’t finish college within six years. Four of them have been homeless at some point. Think of that: multiple homeless valedictorians. Mark Culliton wasn’t surprised by any of it. The head of College Bound Dorchester — a nonprofit that helps nontraditional students go to college — he is one of the city’s most dynamic education activists. He knows all too well that the schools fail students on a large scale, and that even straight-A students are not necessarily exceptions to that. Students struggle in college for a host of reasons. But Culliton argues that our city’s schools, many of them, suffer from seriously low expectations. That leaves students, even those who have done well in high school, completely unprepared for the rigors of higher education. Not surprisingly, valedictorians at the city’s three exam schools fared significantly better in college than their counterparts from other schools. They graduated from college at a much higher rate and have, on average, much better-paying jobs now. That’s great — but how is it acceptable that even high-achieving students from other schools can barely get through college? The city has tried to help students do better in college. A program called Success Boston that provides mentoring and career-oriented jobs has helped boost the once-abysmal college graduation rate of BPS alumni. But some see signs that its success has peaked. Obviously more needs to be done. Councilor at-large Annissa Essaibi-George suggested that BPS high schools need to do more to support and mentor students post-graduation. “They’re still our kids,” she noted. That’s a good idea. But clearly what’s happening before they graduate is a huge part of the problem. This report lands as the city is in the midst of a search for a new superintendent. Clearly, one of the first issues the new person must attack is a broken system that has left the city with a handful of high-quality exam schools, and a bunch of schools that simply aren’t meeting the task of preparing students for their future. Because our unequal schools are a reflection of our city. A city — increasingly — where a fortunate few make it, and the rest are left to watch their dreams wither.